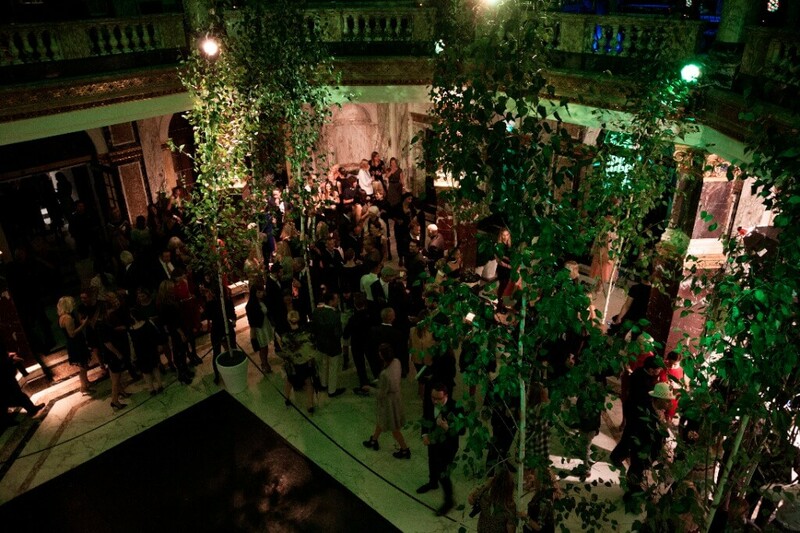 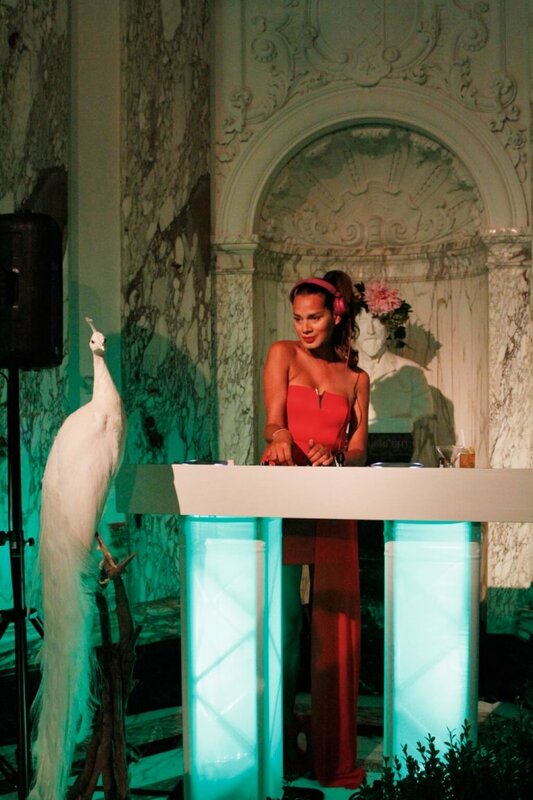 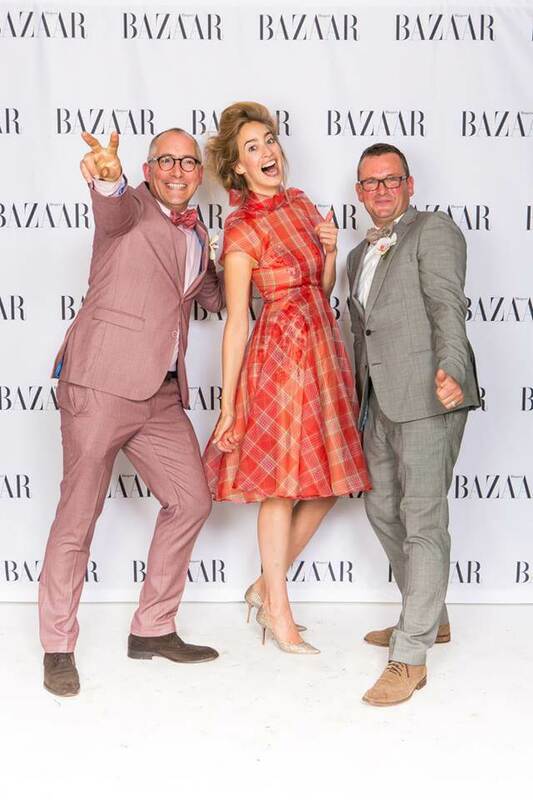 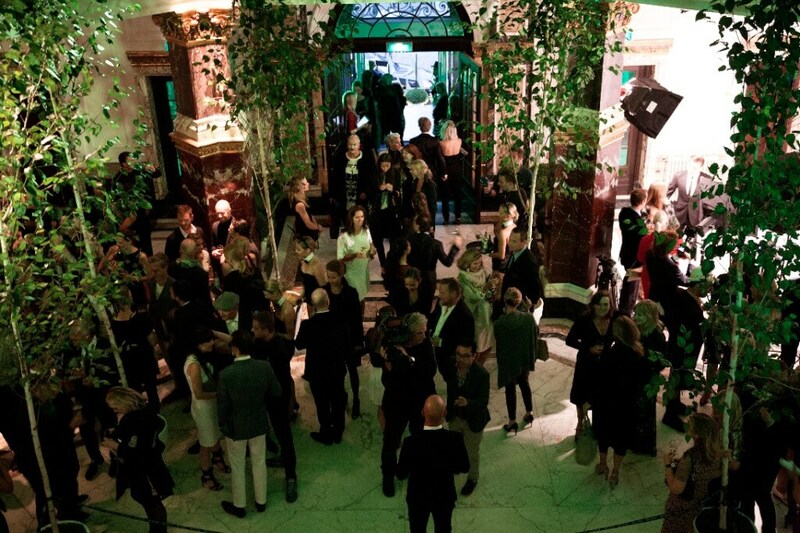 End of August 2014 the iconic lifestyle magazine Harper’s BAZAAR launched their Dutch edition with a large event at the Tropenmuseum (KIT) in Amsterdam. 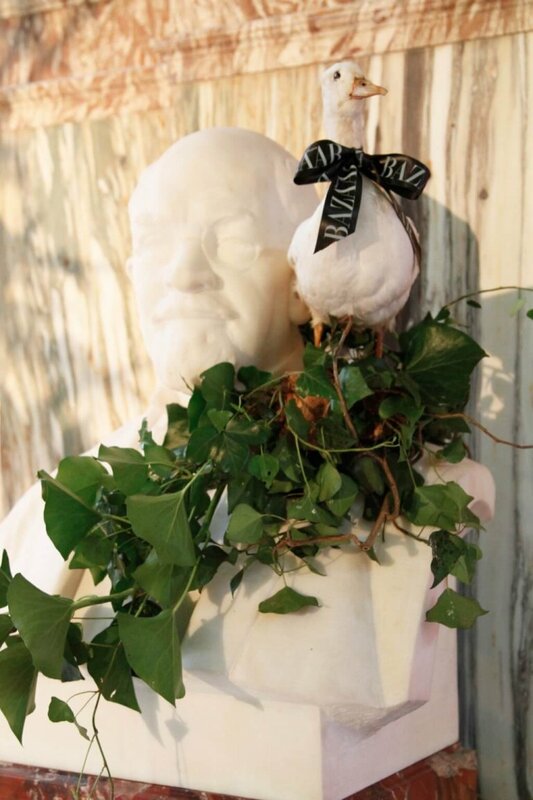 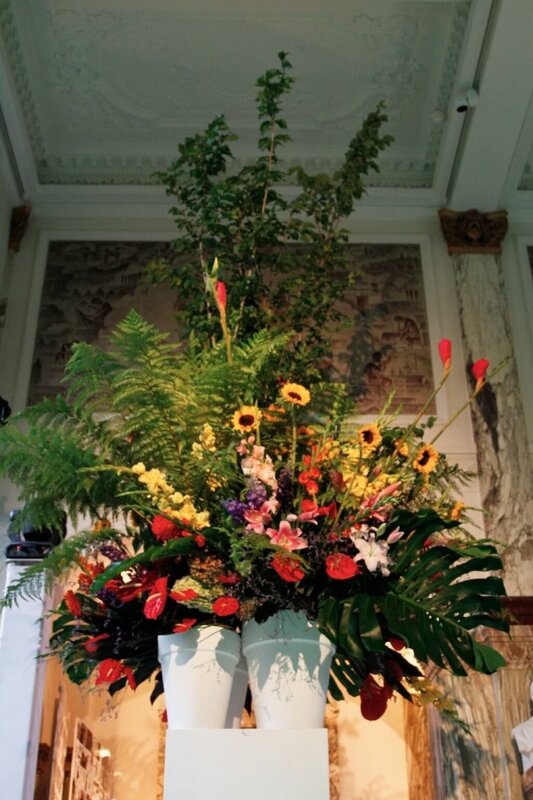 In collaboration with Mooiwatbloemendoen.nl, The Wunderkammer transformed the impressive location into a floral oasis. 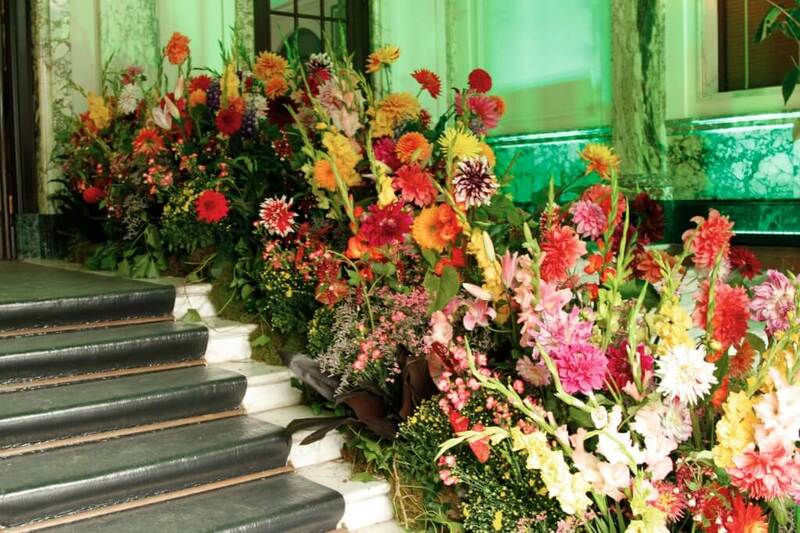 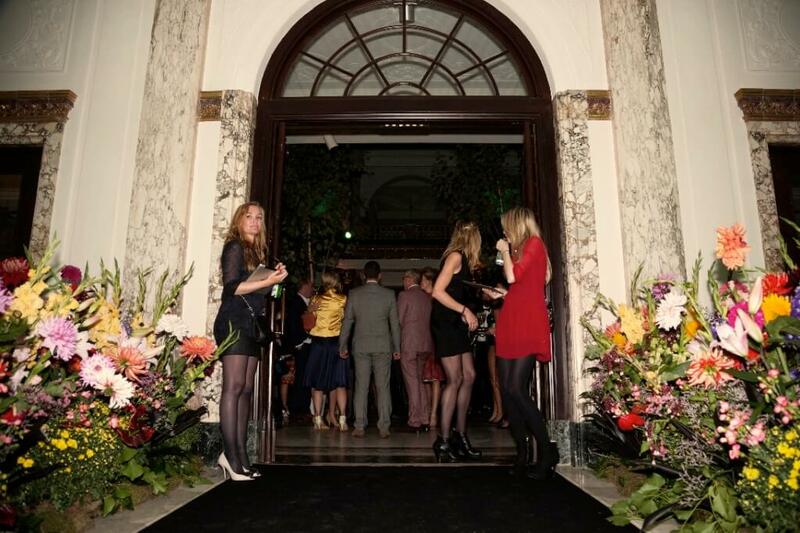 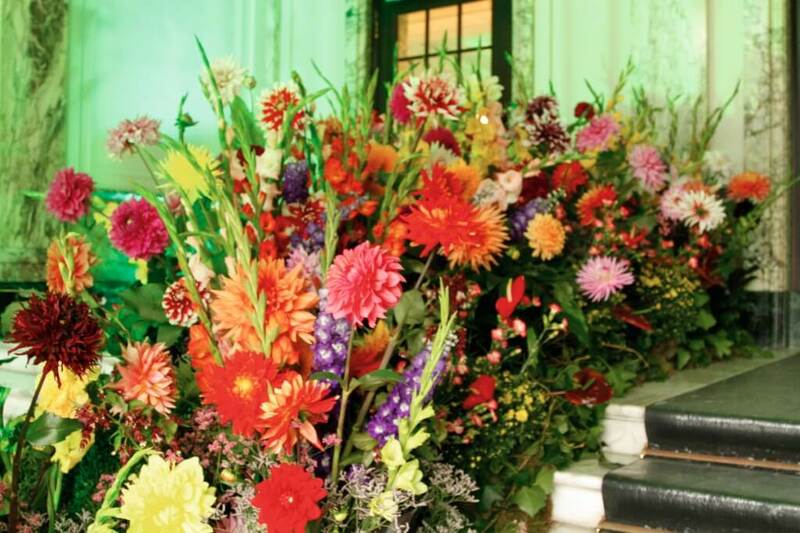 At the entry the guests were welcomed by ‘gardens’ of lush flowers: Dahlias, Sunflowers, Gladiolus and Anthuriums. 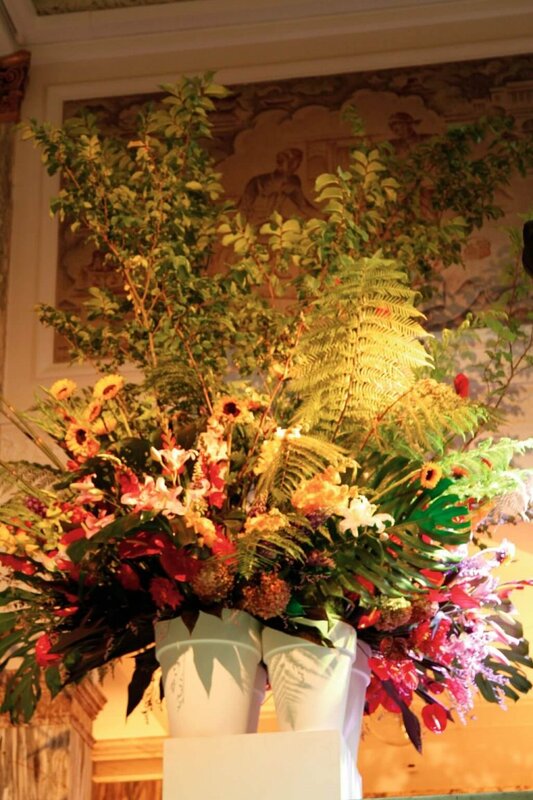 Inside large trees and oversize bouquets with flowers of the season created a fairy tale feeling.